Hi, I am Nurse Shannon! I recently moved to Maine with my husband and two year old daughter. I am very excited to be here this year to help keep your children healthy and care for any alignments they may have. I have over five years of experience as a nurse in Adult and Pediatric Emergency Medicine at a Level 1 Trauma Center (Augusta University Medical Center). I specifically love taking care of children. Prior to accepting this interim position at CES, I was working as a nurse at the Children's Hospital of Georgia. My previous experience ranges from pediatric medical surgical, pediatric and neonatal intensive care units and pediatric hematology and oncology. Please know my door is always open if any one wants to stop by and introduce themselves! **Please remember to dress your child appropriately for the weather. With snow on the ground the children are going out to play and will need the following: hats, mittens/gloves, snow boots, snow pants, jackets. "Kindergarteners and other children who received a comprehensive eye examination from an eye care provider within the previous 12 months do not need to have a school vision screening. In addition, certain children should bypass vision screening and be referred directly to an eye specialist for a comprehensive examination because these children have a higher rate of vision problems. The school nurse may determine which children should be referred directly. Some reasons for bypass may include: readily recognized eye abnormalities such as, but not limited to, strabismus or ptosis; a known diagnosis of a neurodevelopmental disorder such as hearing impairment, cerebral palsy, autism spectrum disorders, or speech delay; systemic diseases known to have associated eye disorders such as diabetes and juvenile rheumatoid arthritis" (maine.gov). 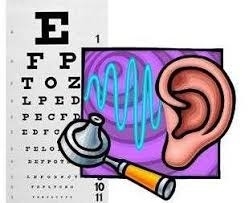 Hearing screening will be conducted for grades K, 1, 3 and 5. 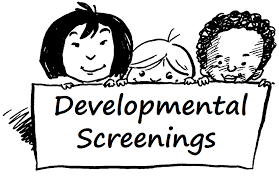 *****A student whose parent objects in writing to screening on religious grounds shall not be screened unless a sight or hearing defect is reasonably apparent. any chronic or acute illnesses (does your child need a EpiPen or inhaler)?